The Workforce -by LWAH, is an initiative of the Lebanese Welfare Association for the Handicapped (LWAH), creating a tool for both job seekers and employers, bridging the gap between them and creating mutual opportunities, through an advanced referral system. It is an intervention aimed at granting equal opportunities for persons with special needs in the job market, giving them the possibility of a more productive and dignifying life. The Workforce -by LWAH is a first step towards normalization at the workplace. It is a first step in implementing one of the most basic rights of persons with disabilities, their right to employment. 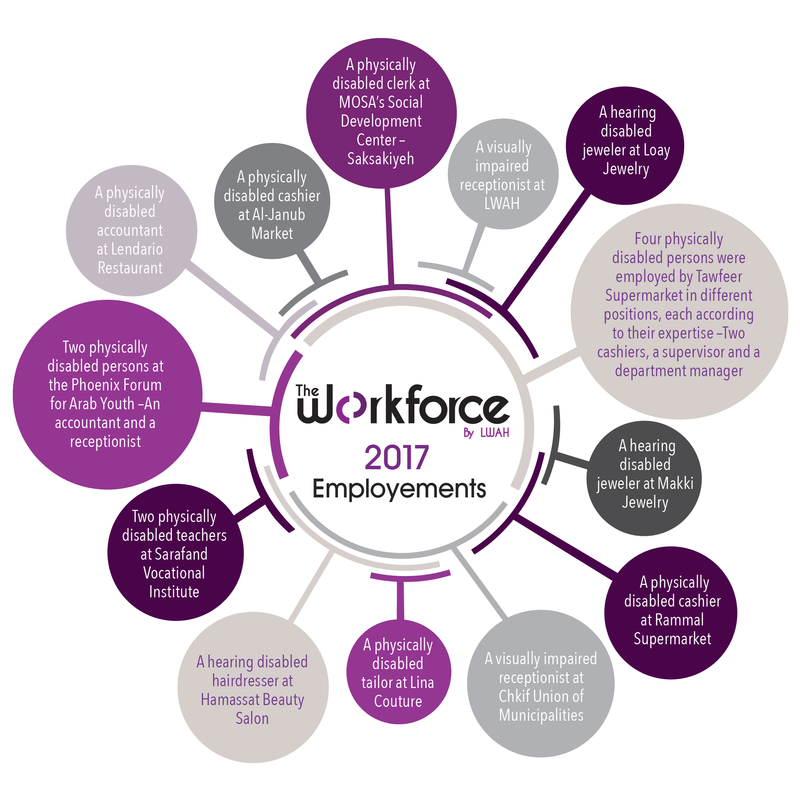 Visit The Workfoce website (www.theworkforcebylwah.com) to post job vacancies if you are an employer or upload your CV if you are a person with special needs looking for a job.